I tried gnome-shell out recently, and since the ambiance theme just looks plain ugly on it, I used gnome-tweak-tools to change the window and gtk theme to Adwaita. So, after that, I went back to unity and obviously changed it back to Ambiance, still using gnome-tweak-tools. Now, in certain apps, I find white space between the window borders and content. Due to my limited English, I won't be able to properly describe what happened, so I guess I'm just going to show it using a screenshot. It's like, nothing that bad. But it just looks so ugly. I'm on ubuntu 12.04 also. Today after installing Gnome Shell from the Software Center in Ubuntu 12.10 my Ambience and Radiance themes got corrupted as well. I found this post on the Ubuntu Forums which lead me to the solution for the problem. 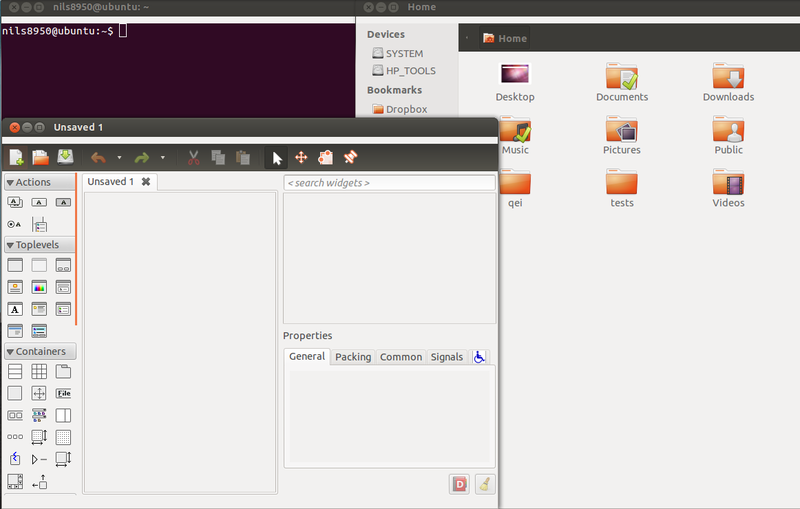 The problem seems to be that after installing Gnome Shell the default theme is Adwaita (in gnome-tweak-tool). It tells me that Adwaita is the default and before it was Ambiance. And because of this when I select the theme Ambiance some components of Adwaita persist, especially selected items in the menu bar in Gnome Classic appear as gray text on gray background. I noticed that this, in contrast to what nils8950 said, only happens with GTK2 applications, not with GTK3 applications. Select Ambiance from the dropdown menu and press the Apply button. Make sure Ambiance is also selected in gnome-tweak-tool. You may need to restart some applications to see the changes (no need to reboot the system). Not the answer you're looking for? Browse other questions tagged unity gnome themes ambiance or ask your own question. How to change mouse cursor and theme? How do I restore the original color scheme, icons, and theme? Is it possible to have different GTK+ theme in Unity and Gnome Shell? How can I restore a broken theme in GNOME Shell? How to get rid of white color on white text for Ambiance Blue theme? How to get a REAL global dark theme in Ubuntu Gnome 14.10?